I will keep this short. 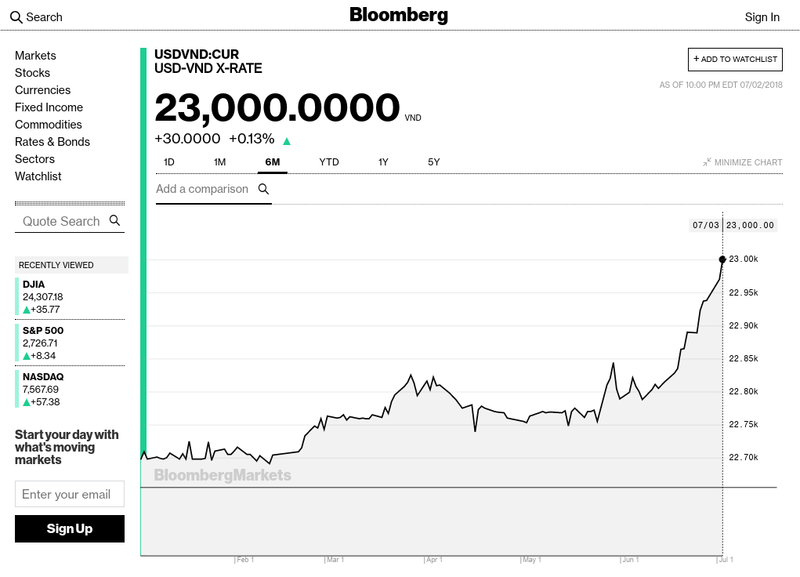 This is what I caught on Bloomberg earlier this evening regarding Vietnamese Dong it is currently trading at 0.07. Am I seeing this right. What happened to 0.47 from TNT was mentioning. Here's the latest from Bloomberg. It lost .07% no biggie. The fact that these people can fail to correctly read a simple and clear graphic shows why they are such easy prey for the scammers and con men.